“But it’s a real Scarampella, I played Dvorak’s cello concerto with Toscanini once”. “I don’t give damn mister, for me it doesn’t matter if it’s accordion or cello, I’ll give you hundred Marks”. Grinning he knew there was a buyer waiting who would pay a hundred times more. He followed Jozef’s gaze through the window and studied the streets glistening with broken glass. “If you hurry you can still make it to Zürich. You’re not German anymore” . I love the extra challenge of writing to my own picture, I actually find it more challenging because I know the place. I think we need reminding of what can come next. The past is not now, but hatred can be the same. For a historical reference read more here. 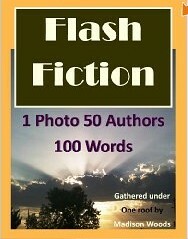 Rochelle Wisoff-Fields select a picture every week and challenge us to write a hundred words of fiction for it. This is what I came up with. Wow. Benign hate….fall has finally come to The South…cold. but the trees are finally showing their colors. January will be the time of darkness here. Thank you.. here we have darkness falling as early as 3:30 PM…so my writing is affected by that. Our darkness fall about 3 hours later but it will start coming sooner. A chilling story. I get what you mean about writing to your own photographs. The darkness is slowly but surely descending. I love the dark and all that it connotes; that’s extra reason to admire your brilliance. I think we might have a similar darkness descending…. There are those profiteering from refugees today… always the same story. Very true. A sad reflection on humanity. As Lynn says, there was much profit to be made from a dreadful situation, and no limit to the number of people willing to try. Good one, Bjorn, and a nice photo too. We both remembered the times during WWII. It’s eye-opening how many of us feel we are heading down this path again. I enjoyed your writing. Sad that greed scores over the beauty of music! “Meaty pawnbroker” – brought a fierce picture to mind. Thanks for the prompt. There’s no limit to the story ideas it inspires. I opted for a little honesty in a tender, and potentially pivotal, moment between “sisters”. Meaty is so much more vivid than fat isn’t it. Yes. Meaty is an excellent descriptor. What a gorgeous photo! (I see bubbles, though. You know, the kind little kids blow.) I really like the poem/story too … especially your hint with the broken glass. Also the line about the humbling and the hat. You should write another piece, and make it about a most enjoyable evening … to show artistic contrast. I will listen to Fado and read this poem. You just said it was a wonderful night, so I thought you might want to do another one. But this one is already superb, so I guess it all depends on your mood. Great take of a very dark time in history. I do hope we aren’t going to see it repeated. Thanks for the great photo. I think similar things happens for refugees today actually. I love this line: Jozef thumbed his moth-eaten hat, humbling himself for the meaty pawnbroker. I really felt his pain! The exact same sentence I highlighted to comment on… portrays so much – his situation but also mood, physicality even compared to the pawnbroker I instant see a slight man. Very well written. AND love the pic too. Such a story reminds us of the evil which sadly can surface anywhere. I think we need to follow our muse. I didn’t need the link. You brought me to tears. Well done. Such a horrible time and brought to life with your short story. The greed of people during trying times sickens me. Love the fact that there is more to this than someone just down on their luck needing money. It’s not just about someone trying to earn a small amount of money from something worth so much more. It’s about a time and place in history where some people themselves were deemed less valuable, as such their possessions were there for the taking, at any price. Yes it’s more a story of a time and place… than anything else. A very chilling time, and the pawnbroker taking advantage of Jozef’s desperation too. Great piece. There are always those trying to take advantage. Brilliant story and I felt even word you wrote. I love the historical aspect to the story as well. A dark story that echoes what life must have been like for thousands then, and we picked the same era, you and I.
It’s a great era to write a story from… alas, but we need to be reminded. It’s a beautiful photo, and a moving story you wrote to go with it. I found it interesting that you think it’s more challenging to write to your own photo. I’ve only done that twice, but I felt it was easier because I knew so much about what was outside the picture’s scope — it gave me more inspiration to work with. I can see that being a problem, yes. I got two bridge photos in a row from two different challenges and had a similar issue. The horrors of the past are still extremely powerful today. I’m saddened by the atrocities. Well written, Bjorn. Your photograph prompt is exceptional. i think he had no choice but to sell. he could live on hope later. 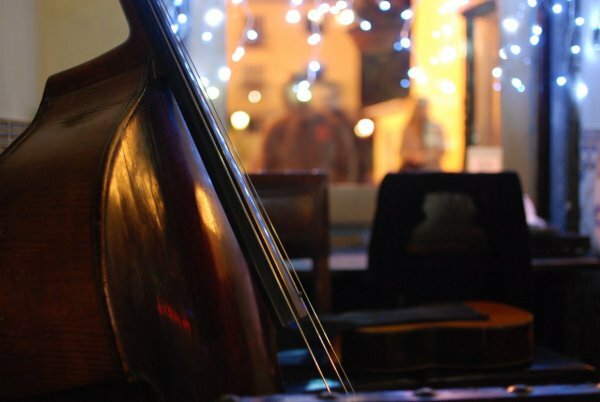 I agree… but the greed of the pawnbroker will hopefully eat at him… hope Jozef can get another cello…though it will never match anything like this. An emotive story and prompt. Great. Thank you.. it was a wonderful night in my memory.. much better than in my story. People who take advantage of others shall have their day—in Hell. How they can sleep at night is beyond me. Enjoyed the photo. Thanks for sharing it with us. So tragic. I think of all those talented musicians snuffed out by such a monstrous act of evil, often by people who loved music themselves, as long as they perceived the ethnic background of the composer as fitting with their ideology. Your story is beautifully written and brings tears to my eyes. It was a terrible time, and I just wonder how it is trying to escape Syria today… maybe we will hear tales like this twenty years from now. So much cruelty in this world, in which the perpetrators are often likened to animals. But they are less than animals, because they should know better and attempt to justify their behaviour. I don’t know how survivors of horrors ever forgive the perpetrators, but they do sometimes. The two sides of humanity, I guess. Nice photo and even nicer story, Bjorn. Got some complications in there worth the read. You’re really going up with some stuff these days, man. Keep it coming! Five out of five Toscanninis. I will try to keep the darkness coming… but I might have to come up with some humor soon. I expected Rochelle to reference this sad history, this week, given the anniversary. Instead, you blindsided me with your beautiful story, and subtlety. The “meaty pawnbroker” gave me a chill, even before your final punch. Incredible photo, Björn, and moving story to go with it. Thanks! I always try to read Rochelle’s story every week before writing my own… this week I thought it apt… so surreal for me with that aniversary and the election so close to each other. Ha! I do the opposite. I try not to read ANY of the stories, before I write mine, so I’ll follow my own muse. That said, I did expect Rochelle would go in that direction; I didn’t expect you to. You did it a wonderful honor, B. Great story. I guess there’s a profit in every situation of you’re that way inclined. Hope Jozef made it. I too love the image of the “meaty pawnbroker” and Jozef thumbing his moth-eaten hat. The cruelty in this story is sad and incomprehensible. The even sadder part is that it’s perfectly comprehensible. Ouch, that poor man, desperation makes awful choices. I fear the past repeats, keep these story’s fresh so we don’t forget! Kristallnacht is such a beautiful word. How can it portray such cruelty? Well captured. Yes Kristallnacht sounds magic and beautiful, and it was so much the opposite. you prompted me to google for the details. tragic. great piece. Indeed very touching about a moment in our history. I think you did a great job of writing to your picture! Also, thanks for the picture. A powerul story of an unspeakably tragic time. Well written, and thanks for the picture too. Chilling story! Well told. I can appreciate that it would be an extra challenge writing to your own photo–it’s a beautiful one! Lovely photo and a powerful story. Thank you for a very inspiring image. As for your story, what to say that hasn’t been said before. Profoundly sad and chilling, even more so for the possibilites and probabilites of our times. When you are needy, wins the greedy. Beautifully written sad tale.